This is where Kim Do-jin (Jang Dong-gun) proposes to Seo Yi-soo (Kim Ha-neul) in episode 20 of A Gentleman’s Dignity (신사의 품격) (SBS, 2012). 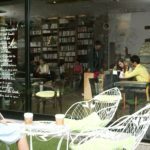 The café is also shown in episode 1 when Yi-Soo walks by it, while Do-jin is sitting inside, working. 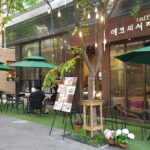 Café Eco’s Library [에코의서재] is a book café located at Bojeong-dong Café Street [보정동카페거리], which is located in the neighborhood Bojeong-dong [보정동] in the city of Yongin [용인시] in Gyeonggi-do. 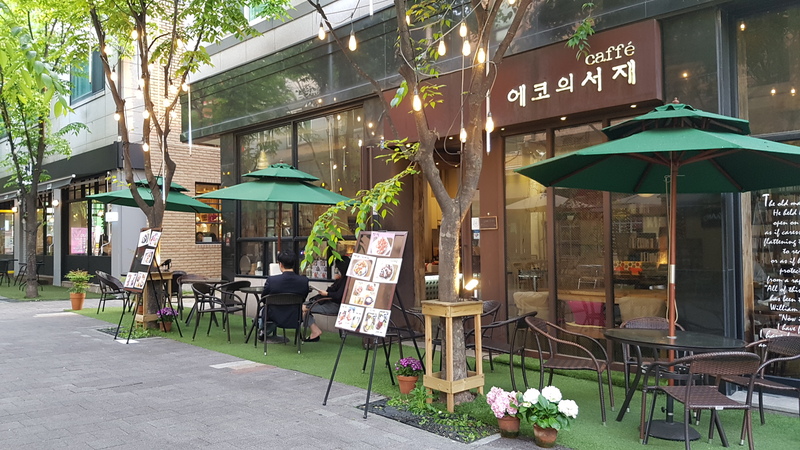 It sits a few steps away from flower shop La Fleur Dieu [라플뢰르디유] and café Day Spring [데이스프링] (now known as Moon’s Wine and Brunch).